Holistic Healing Services that address the whole person: mind, soul, and self! Specializing in Women’s Wellness and Spiritual Psychology!! “An amazing experience, Christina is great!”……S.H. “You rock… I appreciate you! You radiate positivity…and… Now, so do I!!”……..K.V. “Because of your help and inspiration, I have become stronger than I was before and still working on getting even stronger. My Spiritual path, while I have a very long way to go, I’m at least on it! That is all because of you! You are the absolute best and I can not thank you enough for everything!!! Much love!!! !” ….A. R.
Individuals seeking wellness, their life purpose, transformation, enlightenment, spiritual development, and personal growth. And finishes with counseling/consultation (recommendations, plan of action, plant medicine etc). The Chakras are the main energy centers in our subtle body. They are the openings for life energy to flow into and out of our aura or electromagnetic field. There are 8 main Chakras, minor, subpersonal, and transpersonal chakras. The Chakras’ function is to vitalize the physical body and to bring about the development of our self-consciousness. Each chakra is associated with certain physical, mental, emotional, and spiritual interactions. Low energy or slow energy in a chakra (or the entire system) can lead to disharmony, dis-ease, maladaptive patterns, low vibrating emotions, stress, and/or fatigue. Chakra balancing clears and realigns the energy system restoring the mind, body, spirit, aura, and energy system back to balance and harmony. Dr. Christina blends together 8 different energy techniques to balance your Chakras. Chakra Counseling and a Chakra Energy Reading are included at the end of the session. During a face to face Chakra and Energy Balancing session, clients lay on a massage table (fully clothed) while Dr. Christina works on your body (feet, knees, hips, along the spine, torso, shoulders, neck, head, hands) and in your aura. During a webcam or phone session, clients sit in a peaceful place in their own home where they will not be disturbed. The experience is very relaxing and peaceful and many fall asleep. Available as a face to face, webcam, or phone appointment. 60 minutes, 90 minutes, 120 minutes, 150, 0r 180 minutes. Readings can focus on the entire system or can focus on one or two areas of concern. Christina can identify your strongest chakras and the ones that need a little work. Receive insight into what may be contributing to problems and disrupting your energy flow, how you can reach your highest potential, and what you can do clear and return your life to balance. The most important part of the reading is discussing solutions and tips for you to achieve healing. Readings can also include Chakra focused archetype and astrological information. Clients have told Christina a Chakra Reading was more helpful in gaining insight into their life than years of counseling. Available as a face to face, webcam, email, or phone appointment. 30 minutes, 60 minutes, 90 minutes, 120 minutes, 150 minutes, or 180 minutes. Tarot has been used for divination and insight since at least the 1500s. Tarot decks are usually comprised of 22 Major Arcana cards and 56 Minor Arcana cards. Tarot is rich in archetypes, metaphors, and symbolism. Each card in the deck represents a different stage in the journey through life. Tarot is not only a powerful spiritual tool, but it is also fabulous for gaining deep psychological understanding. Tarot Readings with Dr. Christina are unique as she uses them as a Spiritual Psychology, personal growth, and counseling tool. She has a PhD in Health Psychology, a Masters Degree in Clinical Psychology, a Bachelors Degree in Psychology, a Bachelor’s Degree in Anthropology, a Minor in Sociology, and is trained in Transpersonal Psychology having studied with Stan Grof MD, PhD, the founder of the field. She is also a Reiki Master Teacher and ordained non-denominational minister. Tarot readings with Dr. Christina can also include counseling, depth psychology, and information on archetypes, astrology, the hero/heroine’s journey, rites of passage, and the chakras. For more info about Tarot Readings with Dr. Christina click here. The chakras govern all areas of your life, from your career path to your family and relationships, to your spirituality. Take a journey through your own Chakras and learn how to change your thoughts and modify your behaviors to achieve balance. Each Chakra is correlated to certain mental, physical, emotional, spiritual, and metaphysical issues. The Chakras are also a blueprint for human growth and development. Addressing emotional, physical, and spiritual concerns in each Chakra through Chakra Spiritual Psychology and Chakra Counseling can enhance the flow of your vital life force energy, release energy blockages, help you heal and become more whole, and evolve your consciousness. Christina will utilize and teach you psychology, spiritual, and counseling techniques to help you activate your own inner healer. 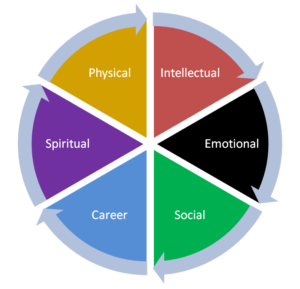 Chakra Psychology/Chakra Counseling is positive/strength based and can include mind/body techniques, artwork, energy psychology, guided imagery, hypnosis, cognitive-behavioral therapy, meditation, and Transpersonal Psychology techniques. Available as a face to face, webcam, email, or phone appointment. 30 minutes, 60 minutes, 90 minutes, 120 minutes. 150, or 180 minutes. Dive deep into the depths of your Psyche and Soul. Going through a Major Life Change or Life Transition? Feeling lost and/or unbalanced? Seeking your life purpose, transformation, enlightenment, spiritual development, and personal growth? Are you experiencing a spiritual awakening? Spiritual counseling with Christina will guide and mentor you on your soul’s journey using depth psychology, Transpersonal psychology, techniques and concepts from Carl Jung, archetypes, astrology, shadow work, and deeply transformational inner work. Spiritual counseling can also use tarot and intuitive readings for insight, self-exploration, and guidance. Available as a face to face, webcam, email, or phone appointment. 30 minutes, 60 minutes, 90 minutes, 120 minutes. 150, or 180 minutes. Mind/Body techniques use the mind, thoughts, and emotions to influence mental, spiritual, and physical health. The mind and body are profoundly interconnected and are perhaps indistinguishable. Whereas the mind can make the body sick and create dis-ease, it can also trigger the body’s innate healing capabilities. Mind/body techniques can aid in relaxation and stress reduction as well as personal and spiritual growth. Sessions can blend in guided imagery and hypnosis. 2+ hour Past Life Regression appointments are also available. Christina can also teach you to use mindfulness techniques, meditation, moving meditation, imagery, breathe work and more to reach a state of harmony and balance. Available as a face to face, webcam, or phone appointment. 60 minutes, 90 minutes, 120 minutes, 150, or 180 minutes. The root of all disease and illness may be due to bioenergetic blockages. Reiki is a relaxing, healing, and therapeutic hands on technique that uses energy healing and light touch to unblock and rebalance the energy system in and around the body. Most people find the treatments very soothing and relaxing. Some find their pain and stress are reduced and they have more energy. Some have peak or spiritual experiences. Reiki stimulates the body, mind, and soul’s own healing and growth process. Great for stress, anxiety, depression, fatigue, pain, chronic health conditions, to enhance spirituality, and personal growth. The client is fully clothed and lies on a massage table. Christina blends in Light Body Energies to heighten the energy flow. Available as a face to face, webcam, or phone appointment. 30 minutes, 60 minutes, 90 minutes, or 120 minutes. * Mind, Soul, and Self LLC promotes health, healing, wellness, and spiritual growth through personal growth work and natural means. We do not prescribe, diagnose, treat, or cure any medical or mental health condition and our services are not meant to replace the advice and treatment of your physician. We are not a licensed medical doctor or a licensed mental health professional, but Complementary, Alternative, and Integrative Medicine. All services are meant to complement regular medical/healthcare and mental healthcare, hence the name “complementary medicine.” Western Medicine and Alternative Medicine work best together to help you achieve health and wellness.